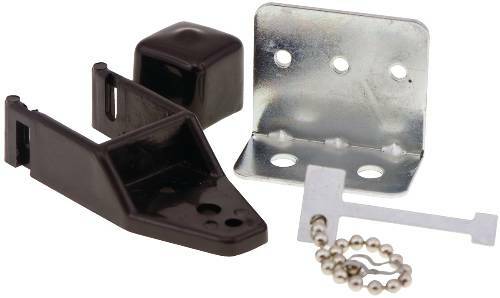 Includes Hinge Bracket, Plastic Socket Bracket, and Screws. Slide Bar Or Security Door Lock. Spring Steel Tool Slides.